This is the first in a series of Dutch receipts (recipes)-To stew Fava Beans. The first step is to remove the beans from their pods and cook until done. 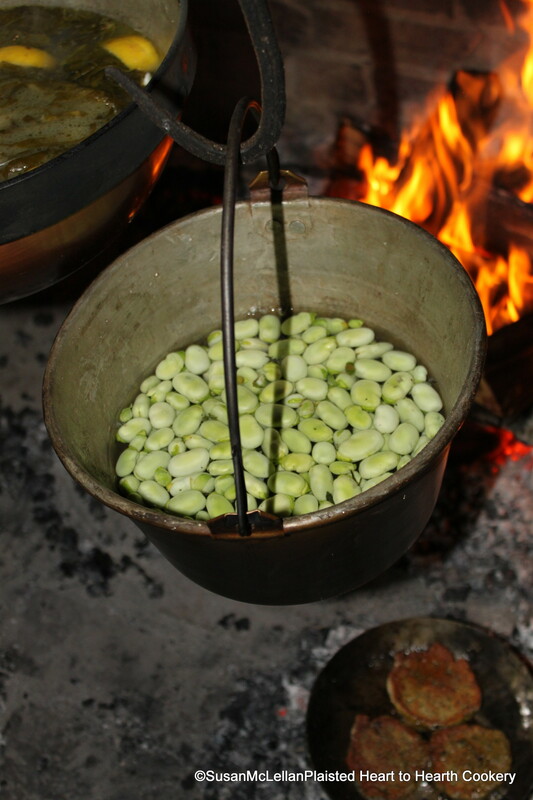 These beans are in a kettle in water over the fire to cook.